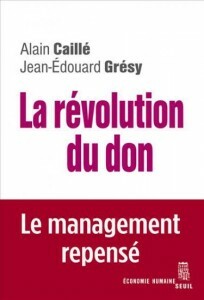 Jean-Edouard Grésy, co-founder of the firm AlterNego and a regular speaker at EVE, has just brought out a book co-written with a leading figure in sociology today, Alain Caillé: La Révolution du don (the revolution of giving). This book is at once the denunciation of a utilitarian dogma, an invitation to (re) discover the passionate works of Marcel Mauss, and an anti-guide to managerial intelligence. The fascinating work presents a reevaluation of the role that giving plays in social relationships in order to analyze human models of organization. 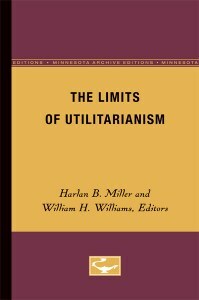 EVE blog: Even in the foreword, your book denounces utilitarianism. What exactly is it about? 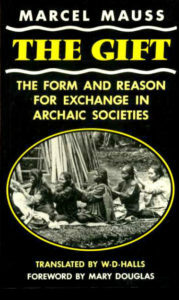 Alain Caillé: To put the concept in the most simple terms, it’s the process of reading and analyzing all human and social acts in terms of how useful they are, by assuming that the actions of individuals are governed by a sort of permanent calculation of interest, and that the sum of these individual calculations contributes to the increase of happiness for the maximum amount of people. Over the course of the last thirty years, we have helped to create a spectacular generalization based on the precepts of utilitarianism within social science, whereby everything has become about “economics” (including relationships, commitments, even emotions). EVE blog: How do you explain this generalization of utilitarianism? Alain Caillé: The utilitarianist model is so attractive because it is simple… but it is also simplistic. By considering that the primary variable, and indeed the only variable to take into account is interest, you can easily create models. Whether it works or not is one thing, but we have a model, which also has the benefit of being easily manageable. The challenge faced by those who put alternative models forward is to combine the complexity of humanity without losing manageability and accessibility. Jean-Edouard Grésy: For someone like me, who strives to encourage this notion of interest in our field, it’s essential not to lose interest in either the only profitable motives or the unique parameter in individuals’ decision making. In my work, I am faced with emotional and identity issues on a daily basis. There is a real need to better understand the meaning of the subjective perception which is specific to each individual. Alain Caillé: We need to reestablish the distinction between what is rational and what is reasonable. Everyday we can see that rational decisions, or ones which claim to be rational, are entirely unreasonable. Jean-Edouard Grésy: And that very reasonable decisions are made for reasons that have nothing to do with the accepted standards of rationality. Alain Caillé: The human factor isn’t irrational; it just has a different purpose to that of an Excel spreadsheet! EVE blog: These other reasons have been studied by the anthropologist Marcel Mauss, who you talk about in your book as being an “unknown super celebrity”. What do you mean by that? Jean-Edouard Grésy: The name Mauss is well known. His essay The Gift is famous. However, Mauss does not have the status in the official history of social science that he deserves. And particularly, his subject, giving, is misunderstood. 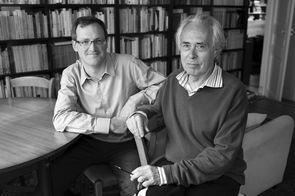 Alain Caillé: As soon as we hear the word “giving”, we think of altruism, even the idea of sacrifice. That isn’t what Mauss talks about! What he analyzes is giving as a political act, a gesture that connects us with another person. A simplistic assumption has made us believe that interest in others is an indirect interest in ourselves. It isn’t just interest in others: there is affection for other people even above our own self-interest. EVE blog: But relationships with other people, even if they aren’t based solely on convenience, aren’t completely free. There are exchanges. 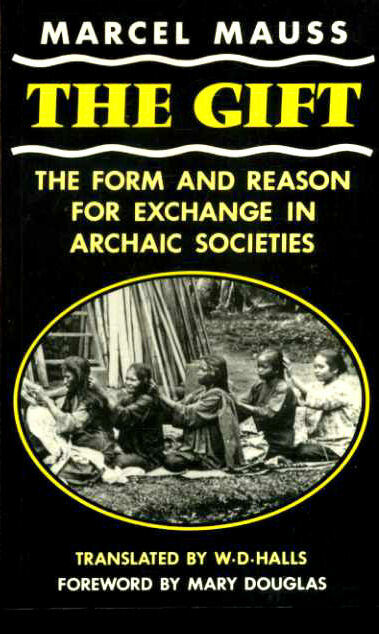 Jean-Edouard Grésy: That’s right, giving is all about exchange, because it requires some form of reciprocation, which Mauss calls exchange. Between giving and exchange, there is what he calls debt, which, because it is passed from one person to another, is the basis of social solidarity. EVE blog: Does that mean that we are all in debt to each other? Alain Caillé: It means that giving, receiving and reciprocating are social obligations. By obligation, Mauss means that to stray from this model is to create a social divide. EVE blog: You have added a fourth term to this famous triangle of “giving-receiving-reciprocating” social obligations which precedes the others: “asking”. Jean-Edouard Grésy: The origin of our book, La Révolution du don, is partly to do with this supposed “overlooking” of “asking”. A little anecdote for you; the idea of writing about this topic with Alain came to me when the organizers of EVE asked me to create the workshop “Why women don’t ask?”. By analyzing the reasons behind not asking and the reality of the strength of both implicit and implied expectations (when, for example, we expect to receive positive feedback, a raise or a promotion) I noticed the extent and the sheer amount of trust that was broken. EVE blog: So if there is a “knowing how to ask”, does that mean there is also a “knowing how to give? Jean-Edouard Grésy: There is a “knowing how to ask” that differs from what we need. There is a “knowing how to give” whereby we neither under-estimate nor over-burden others, something which often overshadows giving. There is also a “knowing how to receive”: receiving is the act of recognizing a gift and being thankful for it. Gratitude is the celebration of the gesture of giving and is the symbol of the connection created through giving. I’ll say this with absolutely no hesitation: thank you is the most important word in management. EVE blog: And then there is “knowing how to reciprocate”. Alain Caillé: A negative perception of debt, one in which it is comparable to enslavement, could portray the act of reciprocating as an opportunity to get rid of something, thus destroying the connection and ending the relationship. It is quite the opposite: Exchange is what connects us. Interview by Marie Donzel, for the EVE blog.